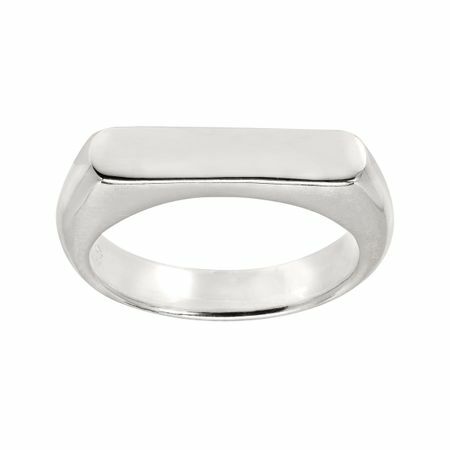 Dream on with the Big Idea Ring in sterling silver and wear it any way you like: solo for a minimal-chic vibe or stacked with a few midi rings for an eclectic punch. Ring face measures 1/8 inches in width. Piece comes with a “.925” sterling silver stamp as a symbol of guaranteed product quality.